When a person is scared to visit the dentist, it typically means they avoid going at all costs. But with the patients lack of visits to see a professional, oral diseases and issues can arise that can not only become more costly, but more invasive to fix, if left untreated for periods of time. It’s important to look at the multitude of reasons why a person could be fearful of the dentist. Whether your dental anxiety comes from a fear of needles, fear of dental tools, uncertainty regarding a procedure, fear of a painful procedure, negative past experience, or simply embarrassment over the state of one’s oral health can all be factors – but can also all be over come! There are a few solutions to dental anxiety that will allow you to maintain your oral health without fear. Communicating your fear or uncertainty towards certain procedures will not only alert your dentist to your sensitivities, but will also ensure that they can further explain the procedure in order to make you most comfortable. 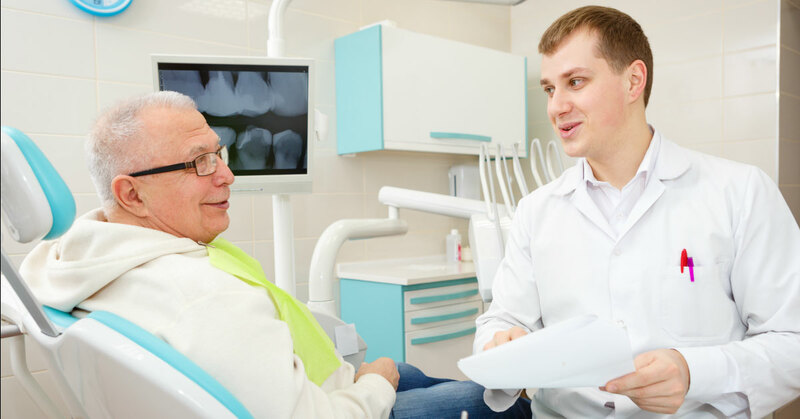 We recommend that you not only speak to your dentist about procedure, but do your own research to see that the reality is typically less frightening than what you have imagined. For those who need a little extra help calming down in the dental office, sedation can help calm the nerves and prevent panic during your procedure. Looking to move past your fears and speak to a dentist? Give DSA a call today at (602) 795-5995! Dental Specialty Associates is unique among dental providers, because we have a variety of specialty dentists on our team. This eliminates the need to “shop around” for dental providers. No matter what type of dental work you need, our trained experts are at your service. What Is A Filling, Anyway?